At Clementine Hotel & Suites, you’re moments away from the happiest place on earth. And here, the eager excitement of Disneyland® Resort is a feeling that is alive and well. We welcome the families and individuals that want to stay somewhere as unique as they are, while embracing the energy that Disneyland® Resort creates. 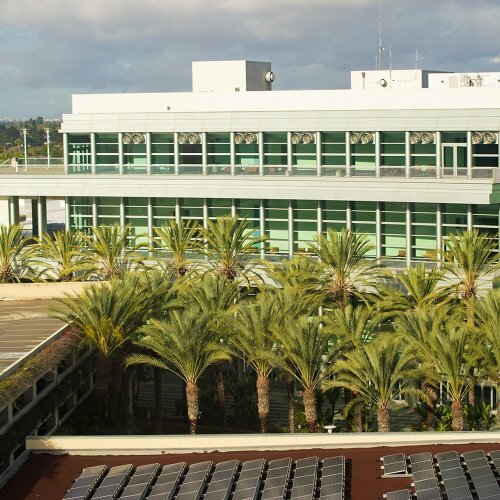 Home to world-class events and impeccable service, the Anaheim Convention Center is just a short car ride away. Our location is perfect for business travelers who want an extended stay that offers all the comforts of home while on the road. Since we're only two miles away from Angel Stadium, home to the Los Angeles Angels, you can easily include plans of Major League Baseball to your fun-filled itinerary. With our incredible location, you’re never far from watching the heavenly abilities of our local Anaheim team. Along with the great amenities and affordable rates at Clementine Hotel & Suites, you can save more when using your AAA membership. We honor the greatest generation with a great discount. If you’re over the age of 62 you can save on your room rate at Clementine Hotel & Suites. Plan ahead and receive colorful savings at Clementine Hotel & Suites! To ensure that you receive this special rate, your entire reservation will be charged within 48-hours of booking.